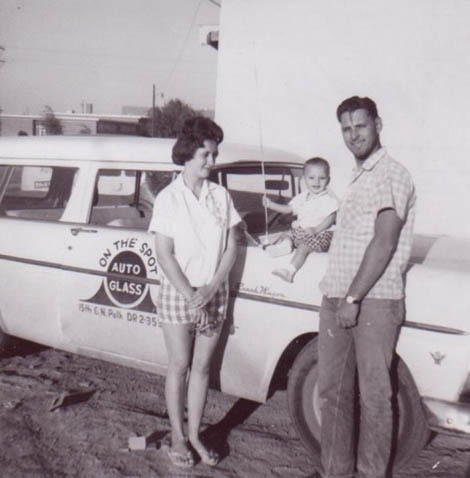 Ever since the early 1950's, the Clayton family has remained a predominant member of the Texas auto glass industry. As a family owned and operated glass business, the Claytons have always treated every customer like they are a part of the family. "The First Mobile Glass Shop"
A 1953 International Metro was converted into the world's first mobile glass truck. 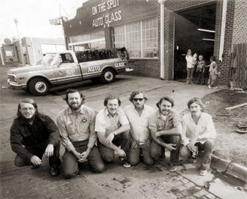 Mobile auto glass installation became available from the Clayton family in 1956, thus inspiring the name of their company: "On The Spot." William begins to hone his skills early; ready to take his place among this family of auto glass installers. Woody and Martha Clark, with son Michael, are seen here with the 1962 Ford version of On The Spot's mobile auto glass unit. 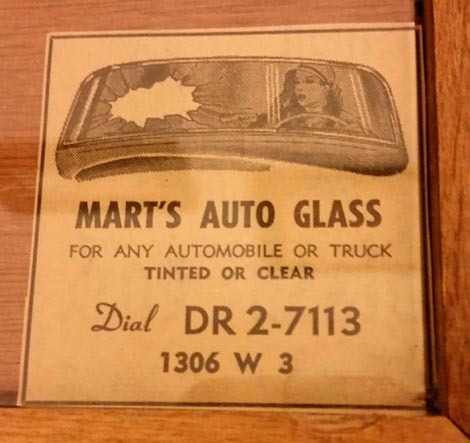 A classic print ad for Mart's Auto Glass. The Clayton boys eventually grew into their own. Some stayed with the family shop; others started their own glass company. But all stayed true to their roots in the auto glass replacement industry. 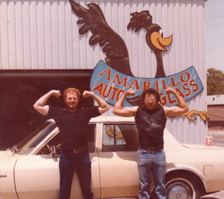 The birth of Amarillo Auto Glass in Amarillo, Texas opened under the leadership of Bill and Denny Clayton. A fresh start was given for the next generation of auto glass installers. 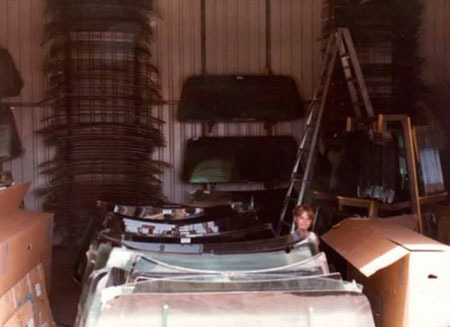 Future owner, Lori, can be seen here learning the auto glass business at a young age. 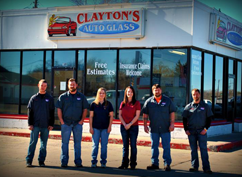 Now under the name Clayton's Glass, the Clayton family offers more than auto glass repair and replacement. Look to Clayton's for all your glass needs from seamless showers to storefront windows and much more. You may notice a change in the Clayton's Glass logo. We redesigned our glass service vehicles and our building. Thanks to owner, Lori Taylor, Clayton's Glass is proud to be part of the Women Owned Small Business Federal Contracting Program. Clayton's Glass wins local commercial bids over all other competing companies in the Texas Panhandle.